The International Services Committee of the Rotary Club of Whitstable consists of an experienced team of Rotarians, many of whom have had direct experience working and living in third world countries. We seek to make an impact in overseas communities where any help can, literally, make the difference between life and death. All projects are monitored carefully to ensure the maximum possible assistance is given and in many cases local people from our own community will be intrinsically involved in managing the funds and aid given. A further function of the committee is to develop and maintain our relationships with other Rotary clubs abroad. As well as our partner clubs in France and Germany, we have recently developed new friends in Klatovy in the Czech Republic and Satoraljaujhely in Hungary. Wherever you may be in the world, a visit to the nearest Rotary club will guarantee a warm welcome and the opportunity to make acquaintance and friendships! 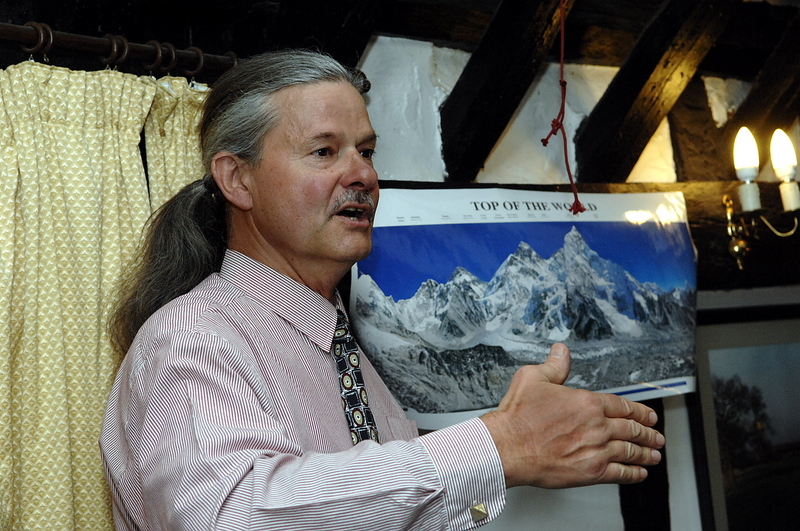 Past President Mike Bantin tells of his gruelling trek to the base camp of Mount Everest in aid of the Kiswa Project. A stroll in the park - called Everest! On 4th March this year, our very own Mike Bantin and Martin Geiger from our contact club, Cham, joined a ten man team to travel to Nepal for a sponsored trek to Everest base camp. The purpose of this 'stroll' was to raise funds for the Ugandan children's project in Kiswa, Kampala. After a day in Kathmandu, they flew the short and very exciting hop to the Lukla foothills, where the walking really started! While warm at first, the temperature began to drop steadily as height was gained, until permanent freezing conditions prevailed - even the packs of wet wipes were frozen solid! This meant no change of clothing for a total of six days for the six team members who completed the objective, those who know Mike will understand how unpleasant this was - for his companions!! However, the stunning scenery and favourable weather conditions made it all worthwhile and the only weather problem occurred when the return flight to Kathmandu was cancelled due to poor visibility and those who know how incredibly dangerous Lukla airport is will understand why the team felt relieved at this decision. Eventually, the decision was made to fly out by helicopter, which was only marginally less dangerous and even Mike 'balls of steel' Bantin felt the need for a little alcoholic relief in order to regain his composure at the end of the trip! 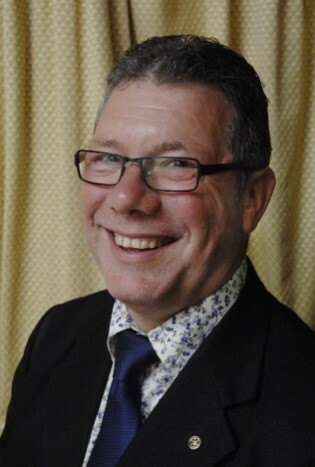 Mike presented a fantastic slideshow of his experiences to the club on the 14th of June in front of over fifty members and guests and was able to report the huge sum of £1200 had been raised towards this excellent cause. Tools with a Mission enables people to earn a living and to support themselves. In many countries of the world people have few skills, little education and no means of earning a living. A switch from aid dependency to self sufficiency is impossible without help. 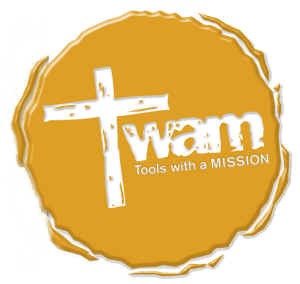 TWAM started twenty seven years ago, and has since then provided this help by collecting and refurbishing tools and equipment no longer required in the UK and sending them overseas. This year we will be providing a collection point in Whitstable and liaising with this fantastic cause to help provide the tools and equipment they need. Disasters come in many forms - earthquake; cyclone; flood; refugee displacement - but all share a common factor. The most urgent single problem facing the relief agencies is the provision of a supply of safe drinking-water. In some cases, it may be possible for the relief agencies to supply water from outside the affected area. In others, there is clearly a need for those suffering in the aftermath of a disaster to achieve an early, if temporary, self-sufficiency in the supply of safe drinking-water. The solution is AQUABOX, a robust plastic tank with water purification tablets and packed with essential welfare items for a disaster situation. Once the welfare contents have been removed, each box can be used to purify up to 1100 litres of polluted water, making it safe and pleasant to drink. As an example, 1100 litres is equal to 5,000 cups - that is enough for a family of four people (drinking 10 cups per day) for about four months. 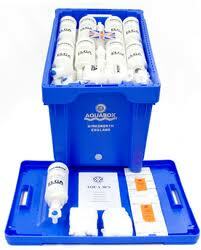 An AQUABOX costs approximately £250 and we aim to provide at least two per year. 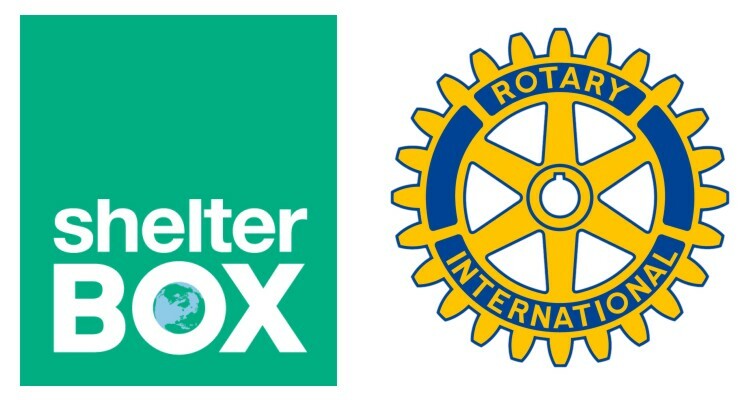 ShelterBox is an international disaster relief charity that delivers emergency shelter, warmth and dignity to people affected by disaster worldwide. The box contains tents large enough for eight people, mosquito nets, water purifying equipment, first aid kits and all the survival essentials necessary for victims of disaster. In the last twelve months ShelterBoxes have been deployed to Japan, The Philippines, New Zealand, Turkey and the Horn of Africa, helping to save thousands of lives. 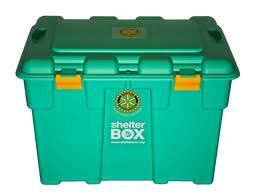 One ShelterBox costs approximately £600 and we aim to provide at least one per year. As well as support for social mobilisation, surveillance, and laboratories to help carry out the final stages of global polio eradication. Rotarians have raised funds that amount to more than £500m in support and provided hundreds of volunteer hours. Rotary is a spearheading partner with the World Health Organisation and UNICEF in the initiative to eradicate polio worldwide. As a result of Rotarian efforts, two billion children under age five have received the polio vaccine, five million who might otherwise be paralysed are walking today, 500,000 new cases of polio are prevented each year, and the number of polio cases has declined by 99 per cent worldwide. The Polio Plus program provides funding for mass immunisation campaigns. building modern facilities for an orphanage in Thailand.